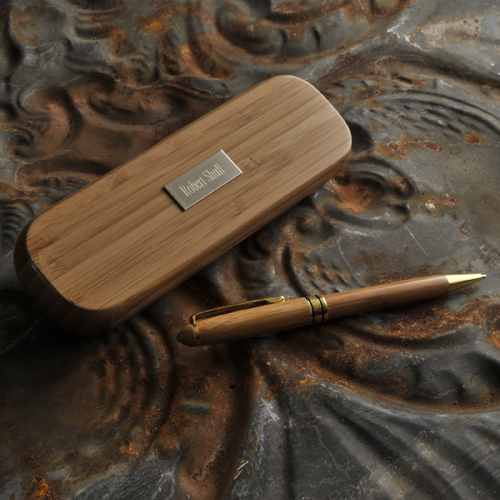 * This handsome personalized Bamboo Pen Set will look great on his/her desk. * The Bamboo wood pen is long-lasting and comes housed in an attractive personalized matching case for safe keeping. * Dads and grads will love it! * Measures 6 1/2" x 2" x 7/8". 6.5" x 2" x 0.875"